3. A redesigned workflow allows access to all features from the Revit ribbon and removes a step from each function, making it faster and easier for users to get their work done. 4. The Import dialog box has been redesigned and applied to all the tools making it easier to understand the functions of each section and easier adoption. 5. Parameter Mapping function is now integrated directly into Setup, removing it from its own tool. 6. COBie contacts are no longer required and users can start generating COBie data earlier in the process without having to wait to finalize COBie contact information. 7. The Contacts interface has been updated making it much easier to use. 8. The Zones dialog has been redesigned for easier use. 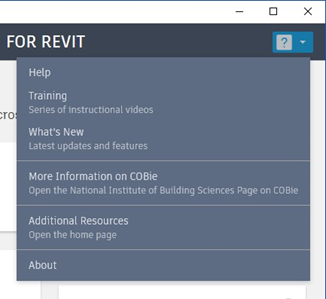 Autodesk COBie Extension for Revit is brought to you by Autodesk. It's free.